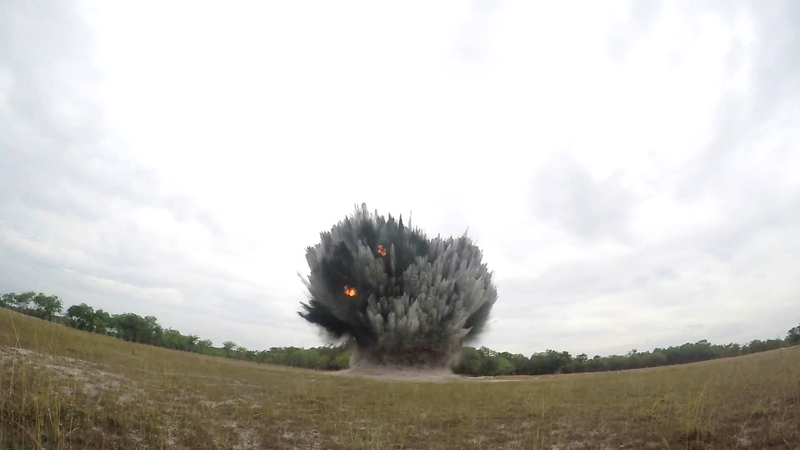 Trieu Phong, Quang Tri (26 July 2018) — NPA-RENEW teams today safely destroyed a U.S. Mk 82 aircraft bomb at our Central Demolition Site (CDS) in Linh An Village of Trieu Trach Commune. This weighty task was successfully conducted by the members of two Explosive Ordnance Disposal (EOD) teams, No. 2 and No. 4. The teams worked with guidance of NPA-RENEW National Technical Officer Bui Trong Hong, a retired Colonel of the PAVN. Earlier on Wednesday 25 July 2018, local authority of Vinh Thuy Commune, Vinh Linh District stopped a local man who lives in Thuy Ba Ha Village from trying to transport a big bomb for sale. Some neighbors spotted the man’s reckless action so they immediately reported to police. Vinh Linh District Military Com-mand called the Quang Tri Legacy of War Coordination Center and asked for support. NPA-RENEW EOD Team No. 2 received the task and arrived in Thuy Ba Ha Village to investigate the incident. The bomb was identified as an Mk 82 500-pound general-purpose aircraft bomb containing 89 kg of high explosive. Mr. Hong confirmed the bomb’s bottom fuze was missing while its nose fuze was damaged, thus he ordered the EOD team to move it to the CDS for safe disposal. 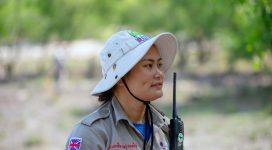 Thanks to the constant alert of Thuy Ba Ha villagers who promptly reported the bomb transportation to the local authority and the quick response of NPA-RENEW teams, a potential tragic accident has been prevented. However, this incident is a grim reminder that scavenging unexploded bombs for metal and explosive just because of profit even though those who are engaged are aware of the risks. This is a problem that needs action by all sectors of the society. Norwegian People’s Aid (NPA) is one of the leading organizations worldwide in humanitarian disarmament. 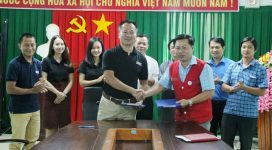 NPA has worked in Vietnam since 2008 following the signing of an MOU with the government of Quang Tri People’s Committee to support the development of Project RENEW’s Explosive Ordnance Disposal (EOD) capacity. 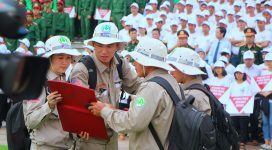 NPA’s operational footprint now covers all of Quang Tri and Thua Thien Hue Provinces, with an increase of assets to two Battle Area Clearance teams, one Non-Technical Survey team, four EOD teams, and 21 Technical Survey teams.